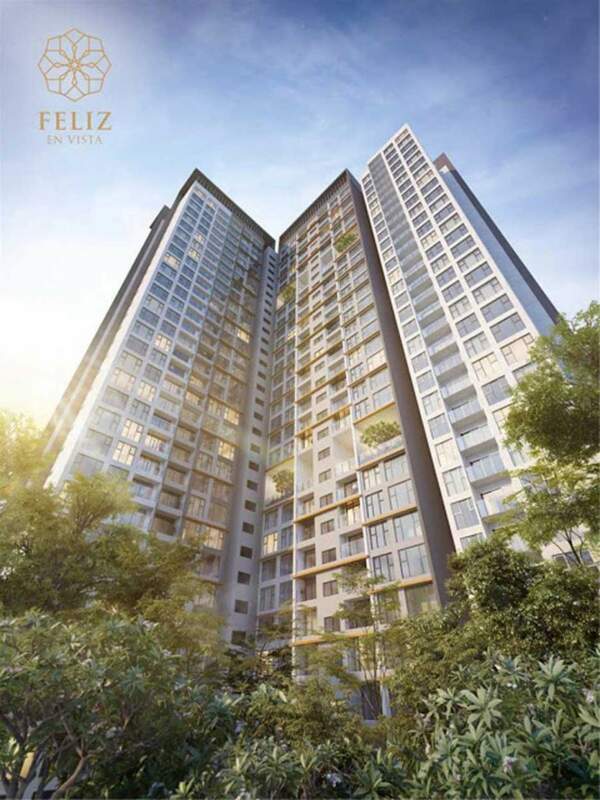 Feliz En vista apartment project is one of the projects invested by CapitaLand with European-style design and luxury. Coming to this place, customers not only enjoy convenient life, comfortable but also discover the mystery of Feliz En Vista apartment. 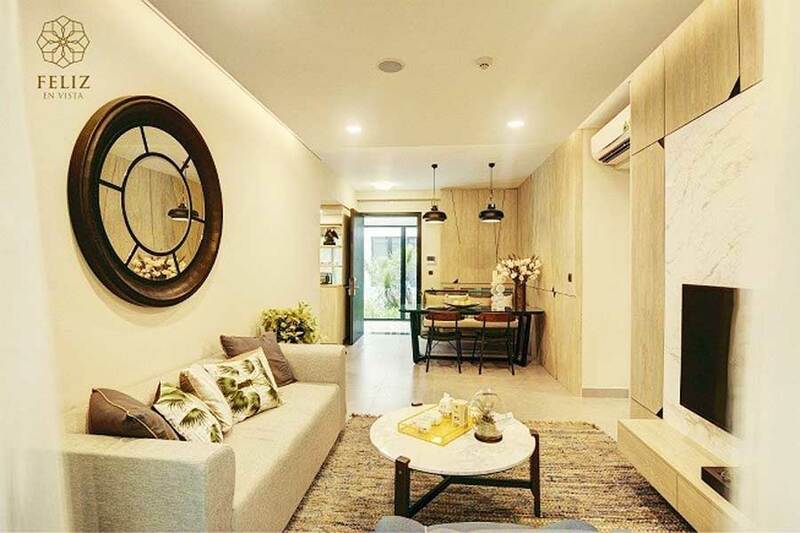 Looking at the design of the apartment, green space is invested by investors Capitaland with large area, the roads are planted trees are very airy, cool feeling close to nature in harmony. The park is built around the project, including the green garden park creating a green space that is also a unique feature, a characteristic of Feliz en vista in the heart of the city. 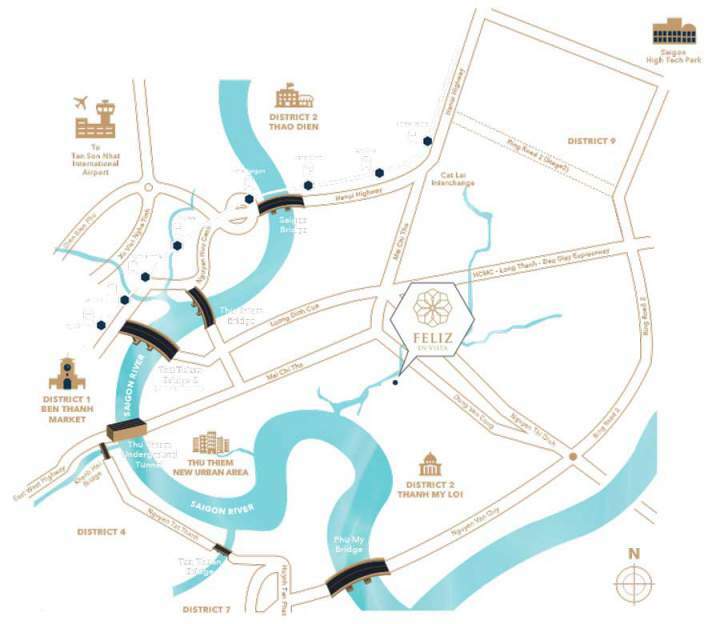 With the elevated position, you can look the view of the beautiful river winding around the city, giving you the opportunity to explore the natural surroundings of Feliz en vista. With the desire to bring the most comfortable and family life to our customers, we have designed luxury and class apartments without the loss of natural space. With the beautiful view, green space, airy, clean, is the combination of light and wind for you to enjoy the full natural taste, to discover nature around Feliz En vista with the feeling of myself. The 6-floor swimming pool with natural space is naturally arranged to give you the most relaxing moments. 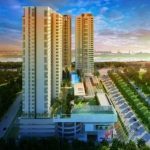 More convenient, you can go shopping in the mall on the ground floor or other activities with modern equipment with gym, tennis court and entertainment center. After hours of study, working tirelessly, returning home to have dinner with your family, chatting together, walking along the quiet streets under the greenery of the natural surroundings of Feliz en vista. This is a wonderful thing. So we are constantly working to create and maintain a living space that meets the needs of customers. Feliz en vista is a combination of modern life and a life close to nature. Do not hesitate any more, come and enjoy nature with Feliz en vista. 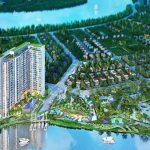 The feliz en vista apartment project was built next to the Sai Gon River with an area of over 2 hectares. 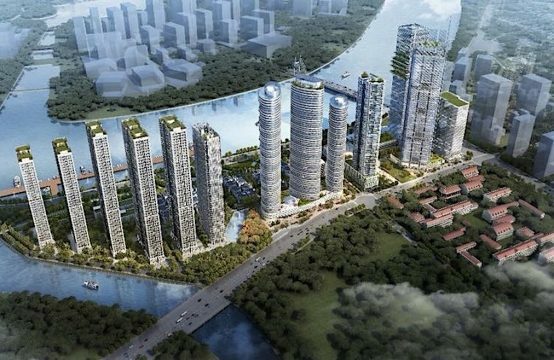 There are a total of 4 towers, 3 floors and a total of 960 apartments. It is expected that Feliz en vista apartment can meet 2200 accommodation for customers. 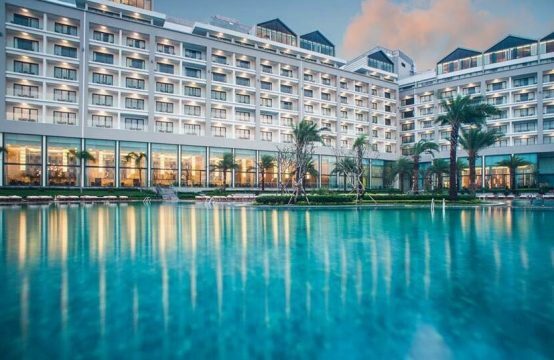 With modern European-style design and comfort, this is the most popular style in Vietnam because of its luxury and elegance. Feliz en vista apartments also provide a full range of entertainment services for guests such as 5-star luxury resort pools including fresh water and saltwater pool for you to enjoy. It feels like being in the beach. There are also a lot of adventure games for customers to try. Movie theaters, gyms, beauty services for women in need of care for their beauty. There are also underground parking lots in the basement. For the overview of rooms for guests, there are over 3 types of rooms for customers to choose. The first type is PN DT area of 58sqm, the second type is 80sqm area, these two types are suitable for the needs of customers alone. For married clients, it is more suitable for PN DT 100-120sqm. 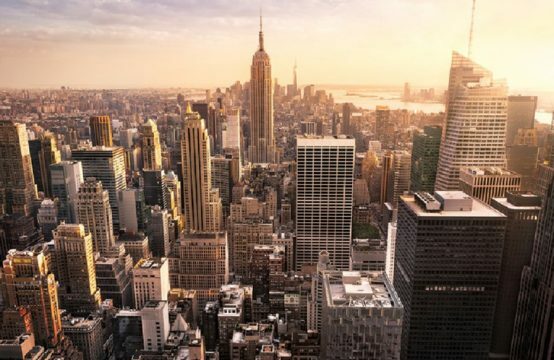 There are also many types such as duplex apartments, Penthouse apartments… there are many options for customers to meet the needs of each customer. Mystery 3: Feliz En Vista’s exclusive app makes you want to. 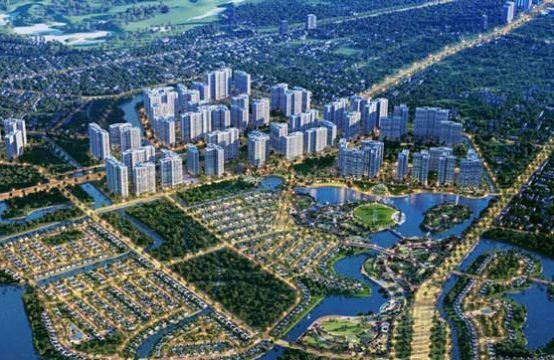 The En vista apartment project is gaining a lot of attentions from people who are looking for an ideal place to build a home or a home for investors to profit from it. The En vista apartment project with ultra-luxurious interior design, with beautiful views or the convenience of the mall … that is the benefits of the Feliz en vista apartment project bring us. Feliz En Vista project with luxurious interior design: En vista apartment project is spent for a small space to equip the most advanced facilities. All apartments in the Feliz En Vista project have been improved, both in terms of interior and exterior. This is an apartment with exquisite design and maximum living space from the project Feliz En Vista. The En vista apartment project offers a wide range of interior design ideas, ranging from classic or modern to elegant, luxurious and special, without its sacrificing sophistication. With space airy apartment, because there are many windows facing out to bring the feeling of comfort, relaxation, close to nature. Feliz En Vista project with an ideal view: the apartment is surrounded by 3 airy fronts, not only convenient for traffic but also the most beautiful views from standing in the apartment. Living in an apartment En vista you will easily reach the vibrant beauty of the city in every corner. 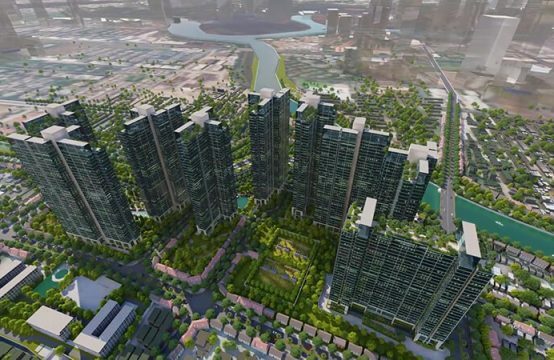 The Feliz En Vista project offers a variety of shopping complexes: En vista apartments provide a high-end shopping centre system that is well-priced for shopping, even if you want to eat some good food, you will not have to go far instead of it, you just sit back at your apartment or the cafes nearby. The trading system will give you everything you want, every dish you want to eat with a rich menu. It’s convenient, right? In addition, the En vista apartment project also built up gyms GYM, spa, swimming pool, beauty care services for women in need. Living in a beautiful space, airy with full facilities, so aside from the En vista apartment is there any better option for those who want to build their new home? This is definitely the smart choice for those who come to the En vista apartment project. For more information, please contact our Sales Department at Hotline: 0909 890 897 for the best support.